Efrain Guzman Cepeda has his eyes examined by Christina Abuata Operation Lone Star Tuesday, July 24, 2018, at PSJA High School in San Juan. SAN JUAN — Diogenes Sanchez, 74, spent Monday night laying on a sidewalk here, waiting with his entire family for the free medical services offered at Operation Lone Star. The Penitas resident, his wife, their daughter and 6-year-old granddaughter packed food, water, blankets and a jacket before heading out to Pharr-San Juan-Alamo High School, where they camped out around 9 p.m. Monday. Thirteen hours later, they walked out of the facility, smiling from ear to ear. Natalia Sanchez has a fluoride treatment placed on her teeth by Sarah Rocha during Operation Lone Star Tuesday, July 24, 2018, at PSJA High School in San Juan. 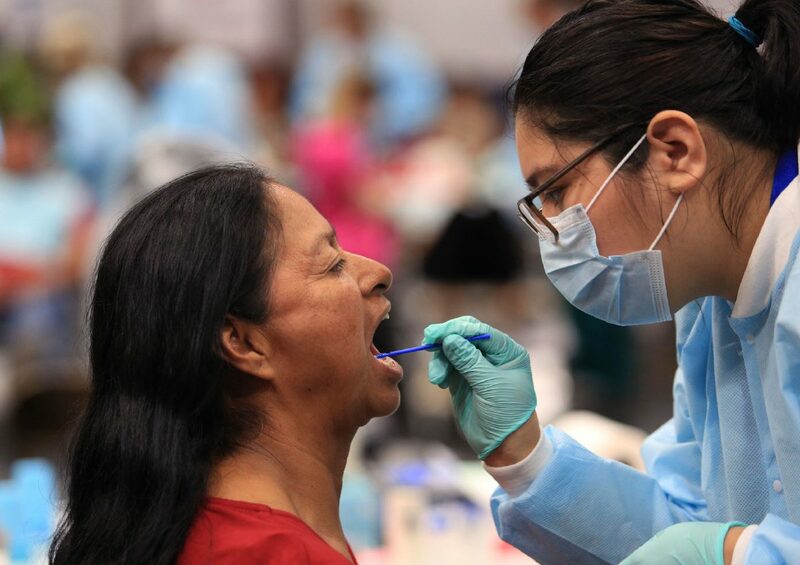 The annual health clinic runs all this week at locations through the Rio Grande Valley. 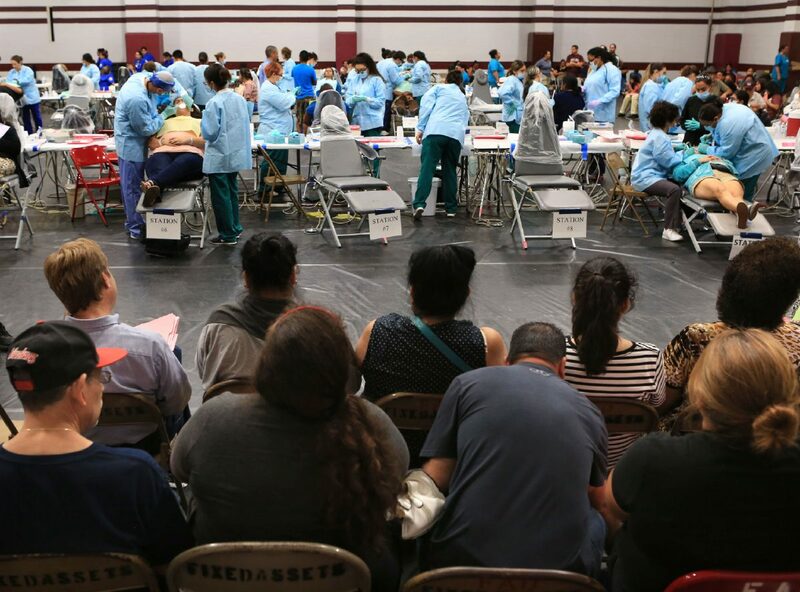 People wait to have their teeth examined during Operation Lone Star Tuesday, July 24, 2018, at PSJA High School in San Juan. Areli Mendoza, 6, has her teeth cleaned by Lupita Rosas Operation Lone Star Tuesday, July 24, 2018, at PSJA High School in San Juan. 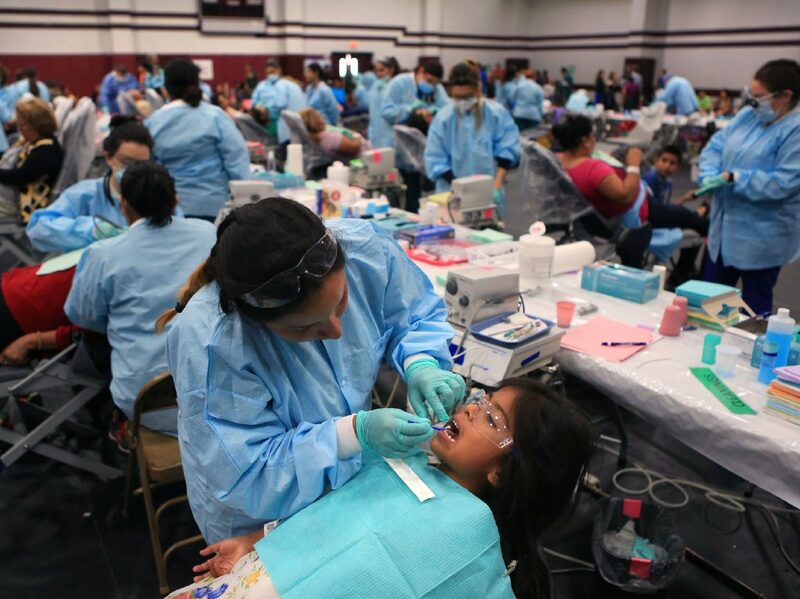 Every single one of them received free dental services as part of the weeklong event held at PSJA high school and four other locations throughout Cameron, Hidalgo and Starr counties. Each year since 1999, hundreds of volunteers, students, medical personnel and members of the Texas State Guard and the Texas Department of State Health Services come together to make sure families like the Sanchezes obtain an array of medical services, including immunizations, sports physicals, and screenings for hearing, vision, diabetes and blood pressure. 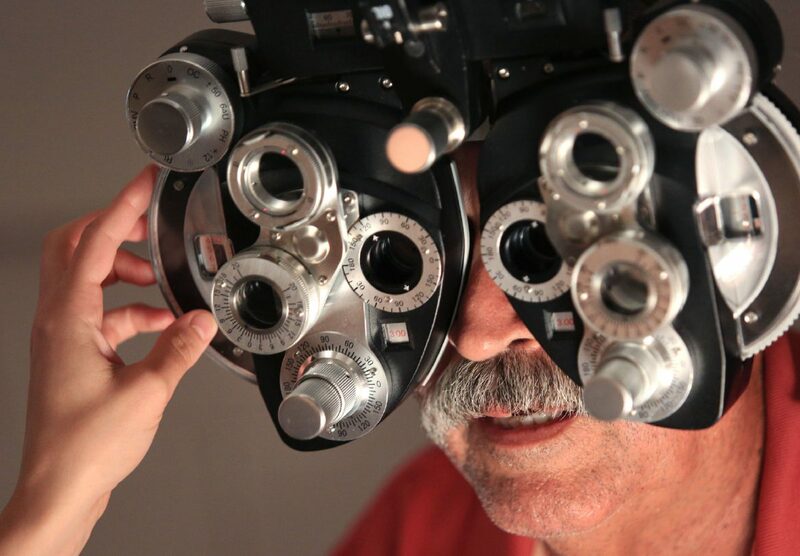 Some locations, like the site in San Juan, also offer preventive dental services, as well as vision exams — complete with free prescription glasses — for adults and children. And even though the event is a godsend to a number of people like the Sanchezes, who wait in line for hours just to receive basic medical care, it also helps the state of Texas train for any disaster that requires medical intervention, said Sulema Solis, incident commander of Operation Lone Star and director of Health Services for the PSJA school district. “Primiraily, it serves as an exercise for any type of emergency event, such as strategic national stockpile — like if we needed to dispense medications or vaccines,” Solis said. But for the thousands of patients served each year, the training comes secondary. More than 8,800 people received services last year, according to a news release from the La Joya school district, which organized a site in western Hidalgo County. In San Juan alone, more than 1,300 people had gone through the doors as of noon Tuesday, once again highlighting the need in the area. Laura Pantoja took her children, her nieces and nephews to the event for that very same reason. All clinics will be open from 8 a.m. to 4 p.m. Monday through Thursday and from 8 a.m. to 2 p.m. Friday.